ood Shepherd Center is committed to ending the cycle of homelessness for the women and children that come through our doors. 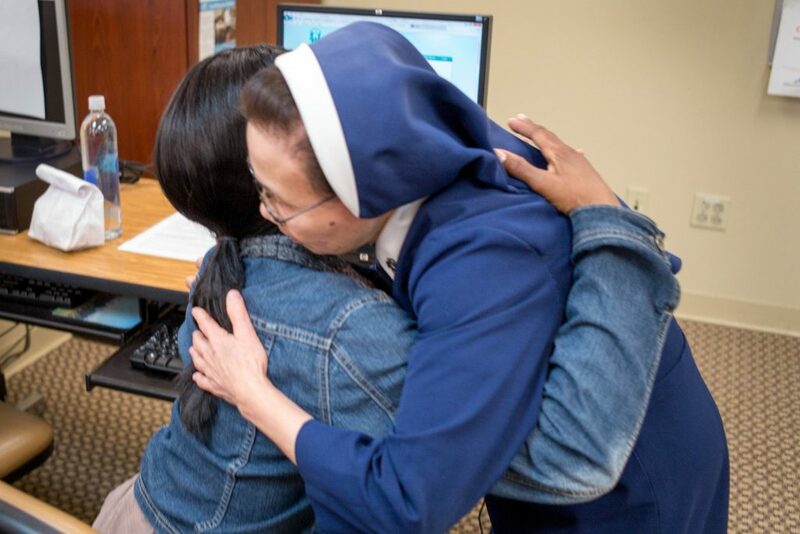 Women enrolled in Good Shepherd Center programs are encouraged to secure full time employment so that they can move from homelessness to independent living. The Client Services Center provides all Good Shepherd Center residents with job development, case management and Life Skills training to enable self-sufficient living. Services are designed to help each woman increase her earning potential through education, training, and job placement and to aid her in developing a foundation for economic stability. A computer lab with 16 workstations is available to all residents. Classes on Microsoft Office and other basic computer skills are offered, and women may receive a certificate of completion. All residents are encouraged to attend these classes which cover a variety of topics such as housing rights, job interview skills, health concerns, stress management, budgeting, personal safety and other issues related to independent living. We work with many partners to help our residents attain their goals and achieve independent living. Residents receive referrals for additional social services available in the community. A partnership with Dress for Success outfits the women who have interviews and are entering the work force.